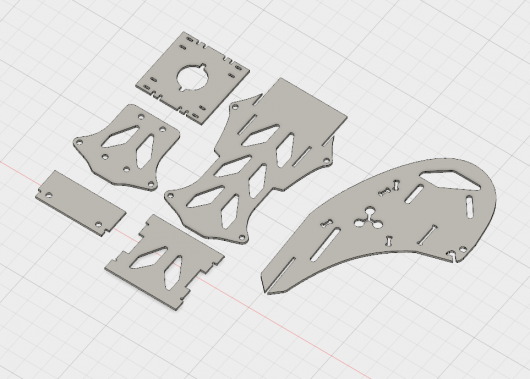 I finally got some time to fix and compile the final design files for the Mini Tricopter. The files are available in STP and STL format for free on the downloads page. Is there a way to convert those files to PDF or JPG? But plywood, for example, is more common and easier to use, in that regard, a pdf (or any flat file, 2D) is easier for people with less options. @Luis programs such as Autodesk Fusion 360 can convert STL files to PDF or DWG format. What program do you use to draw your designs? I can highly recommend Fusion 360. I have been using it for almost a year and it’s amazing how fast the developers add new features.